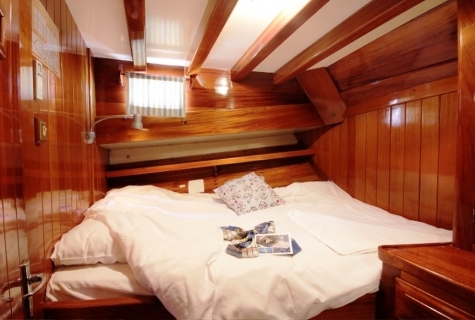 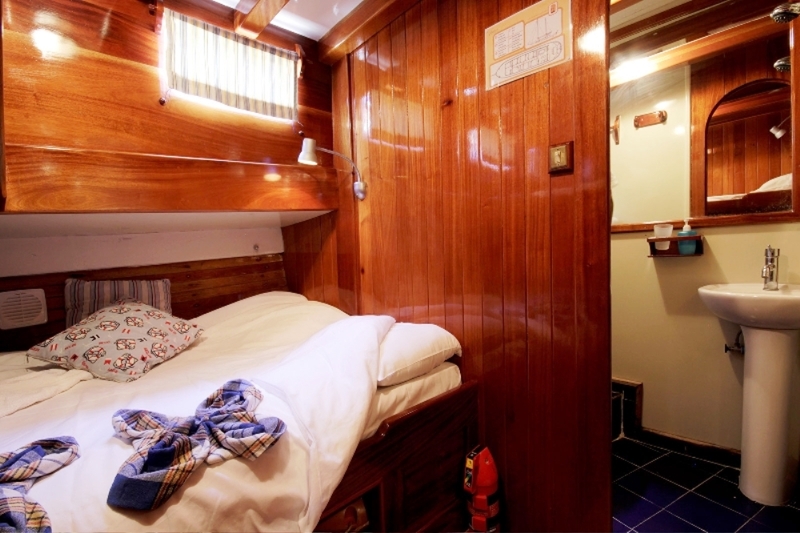 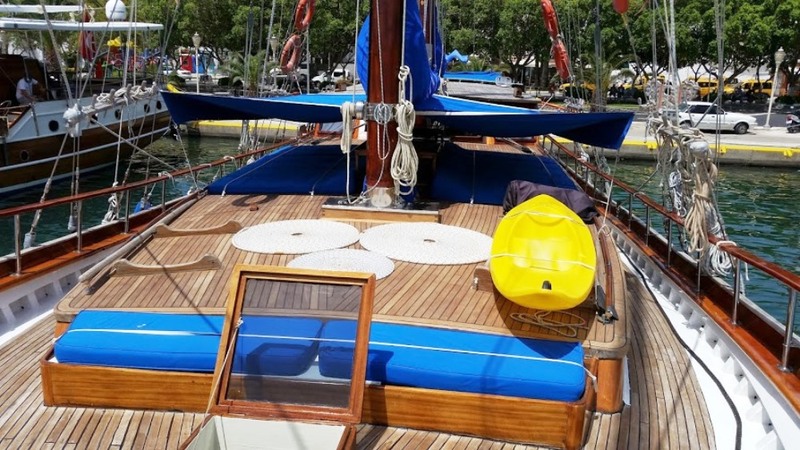 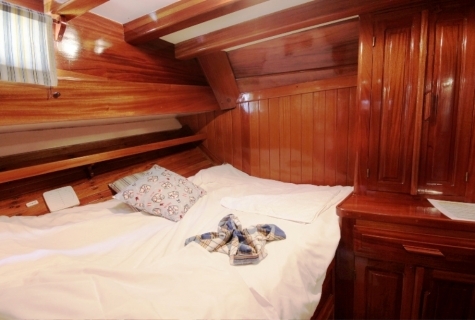 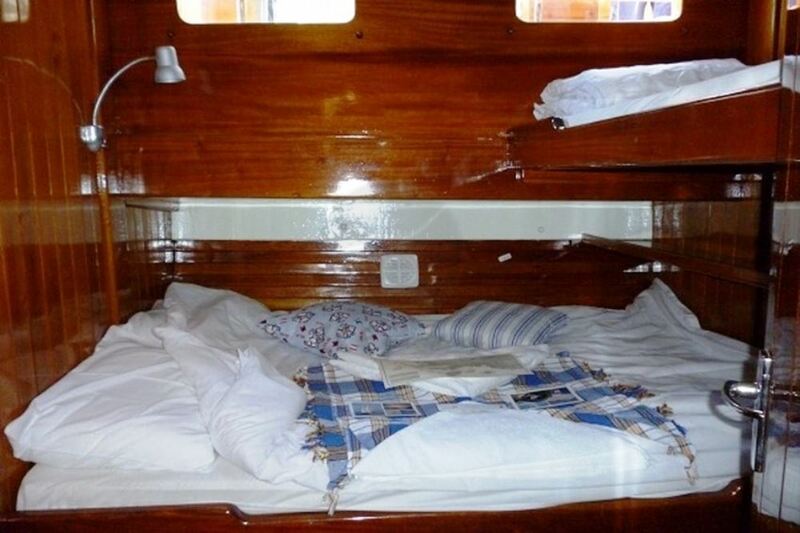 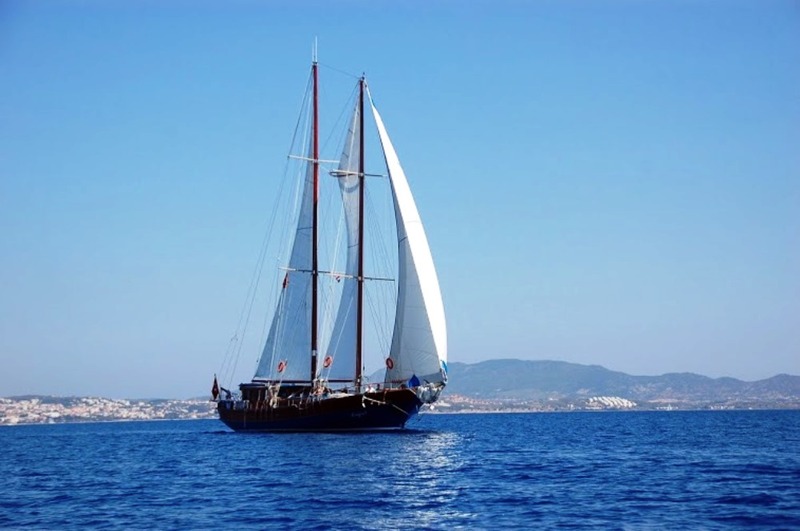 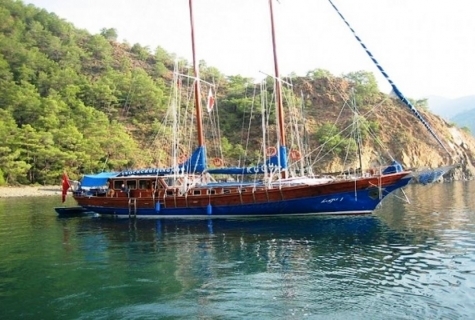 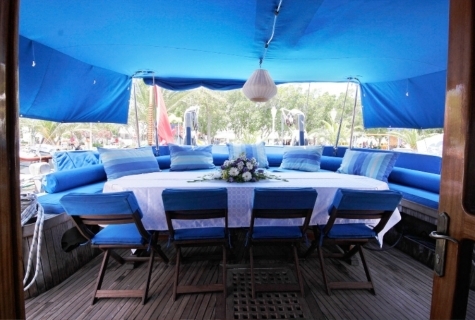 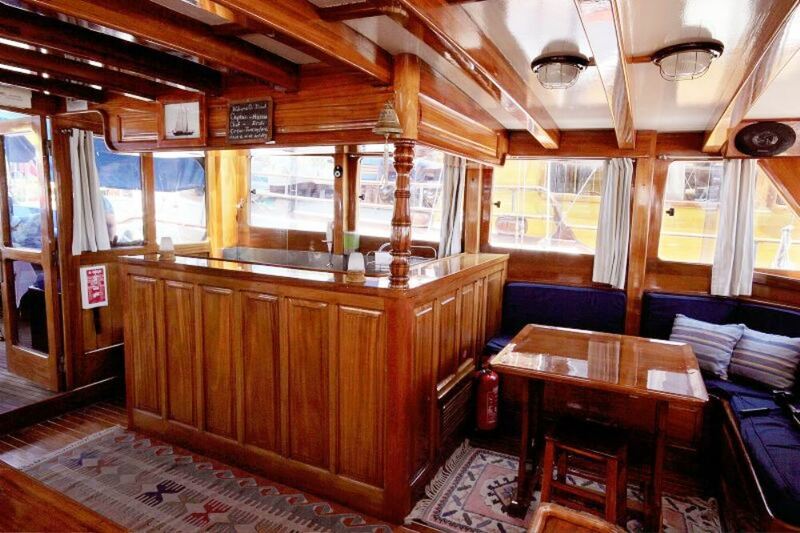 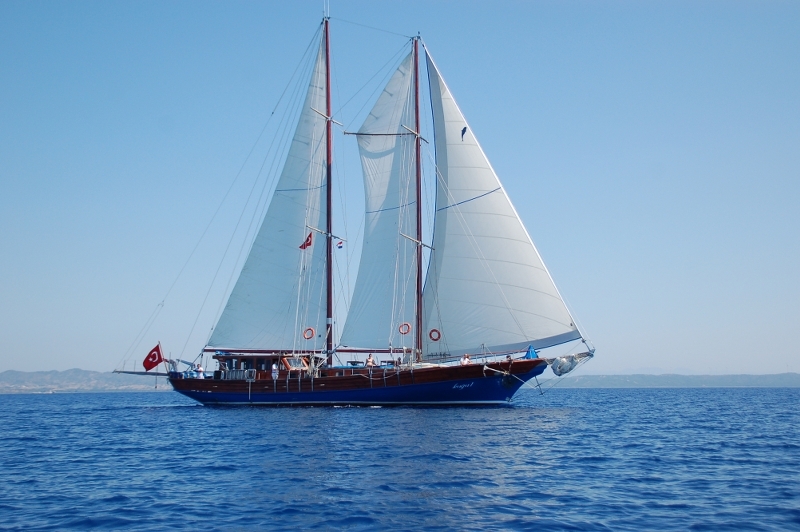 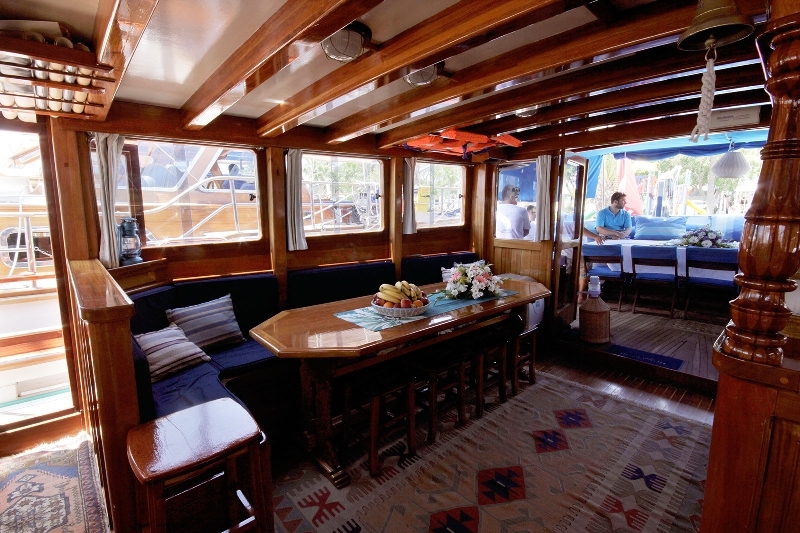 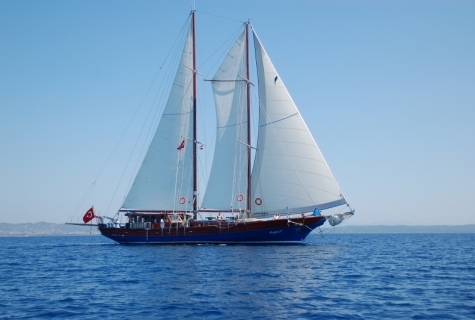 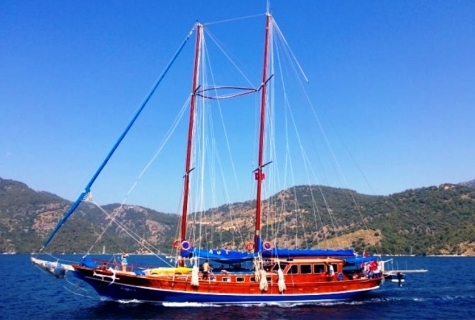 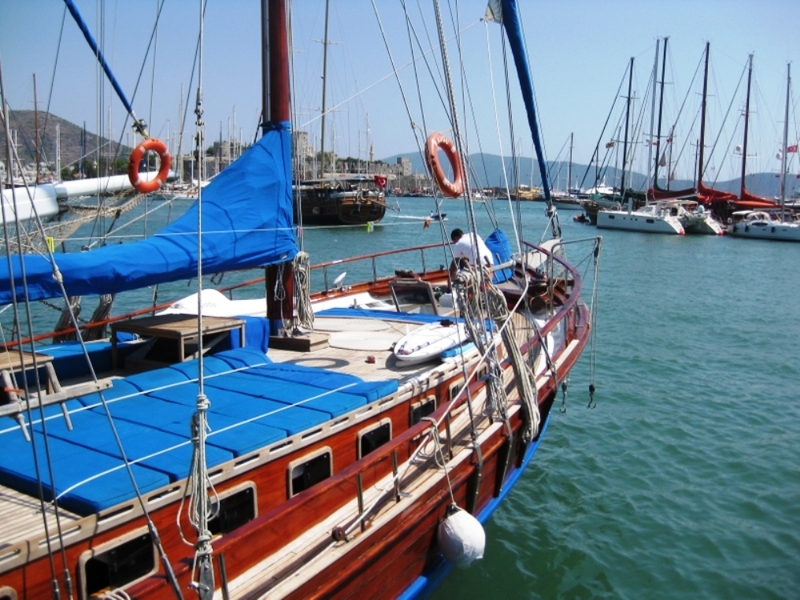 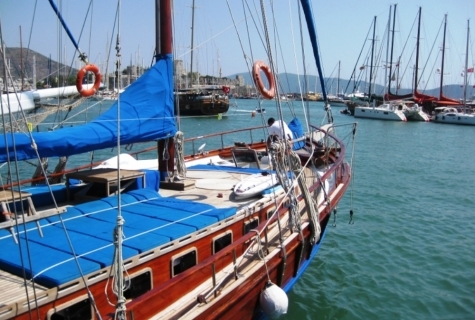 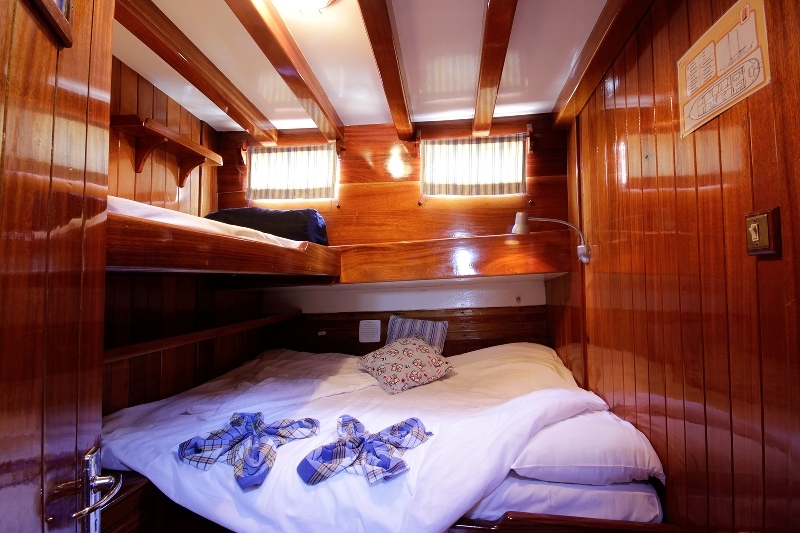 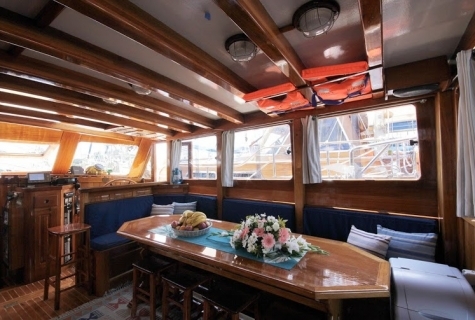 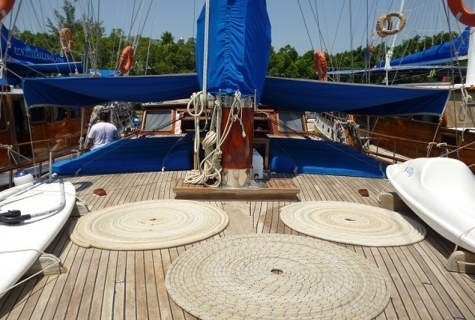 Kugu 1 is 24 meters long gulet, fully air-conditioned and can accommodate up to 12 people. It has 6 cabins each with a shower and toilet. 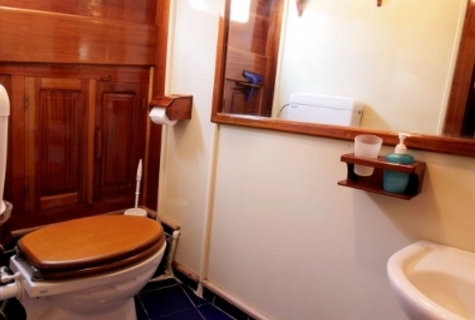 The toilets are house type flush toilets. 2 of the cabins are with a single bed. 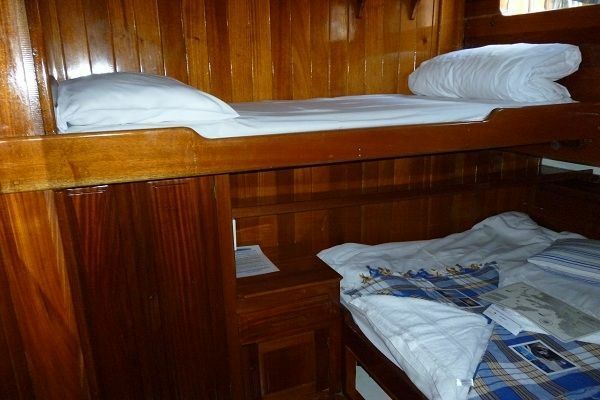 4 of the cabins are with one double bed + one upper bunk. 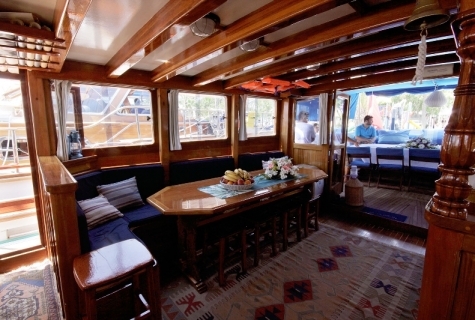 Very spacious and comfortable salon with dining facilities. 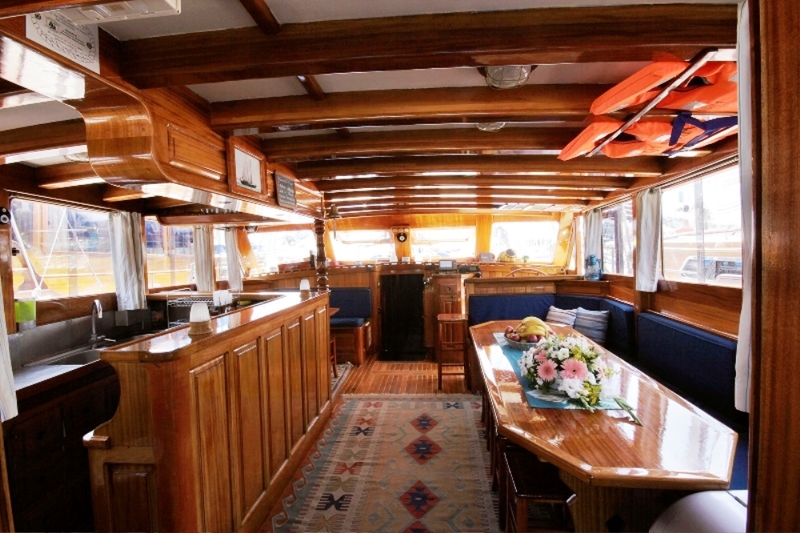 Fully equipped galley. 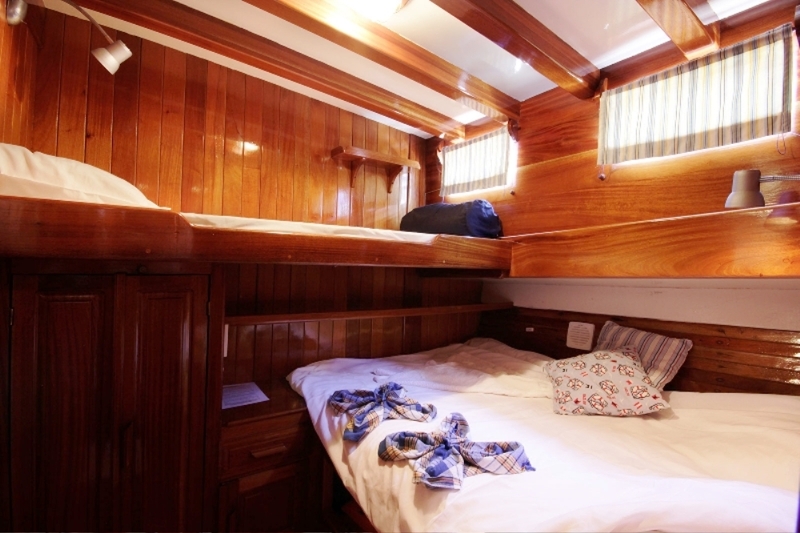 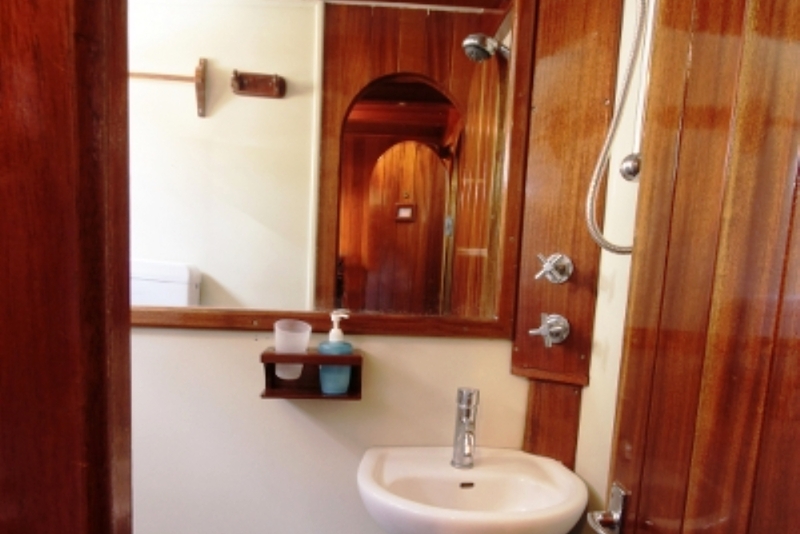 Very spacious aft deck with dining facilities and cushions. 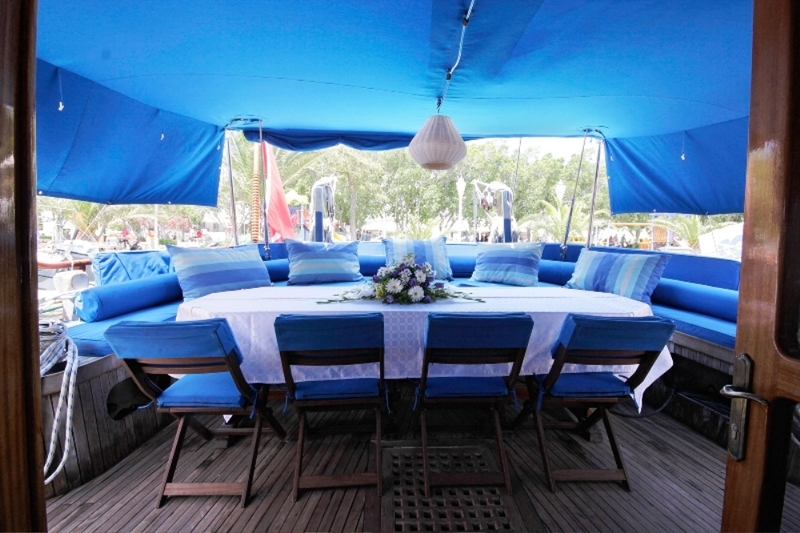 Spacious sun deck area with cushions. Separate captain and crew quarters. 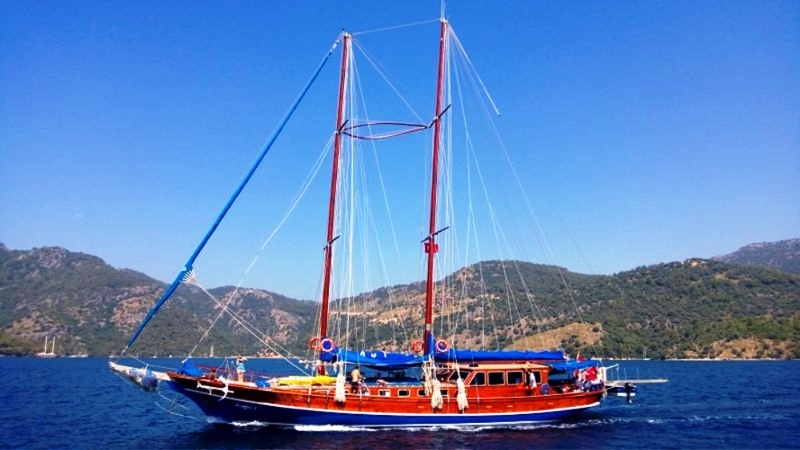 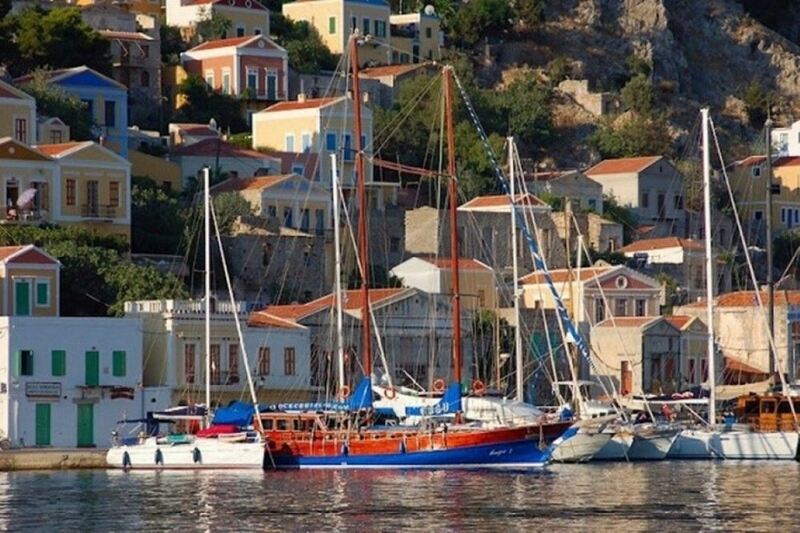 With great sailing ability, professional crew who will cater to your every need on board, you will enjoy the holiday of a lifetime. 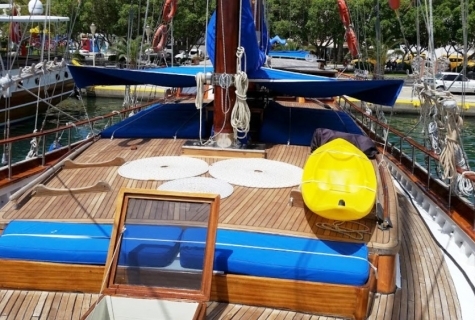 Dinghy1 Dinghy with 9.9 HP Outboard Engine. Social GamesYes, Backgammon, Okay Game Set, Playing Cards, Jenga.